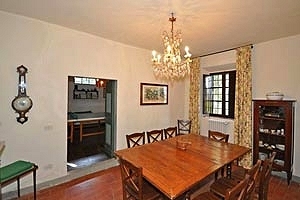 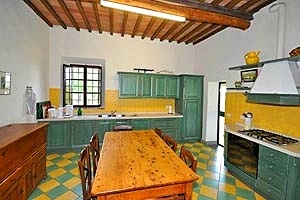 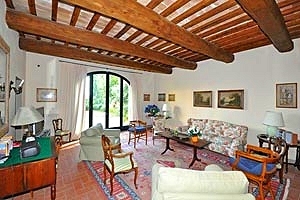 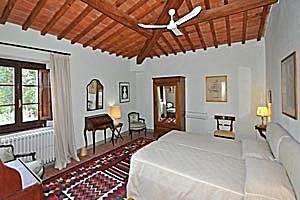 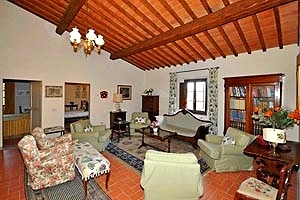 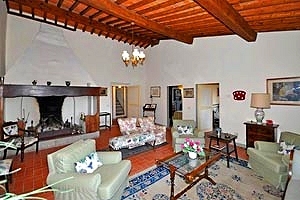 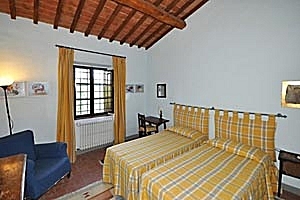 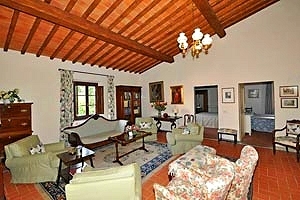 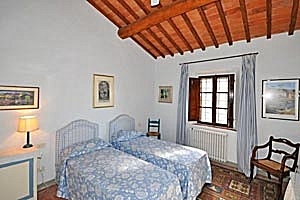 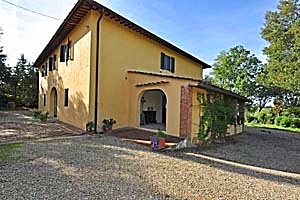 Beautiful villa sleeping 10 in the countryside west of Florence, near Montespertoli. 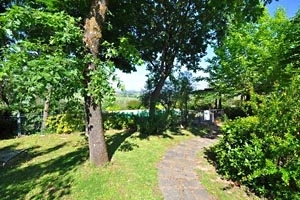 Wide garden, swimming pool, hydromassage, Internet connection, pool table, table-tennis table. 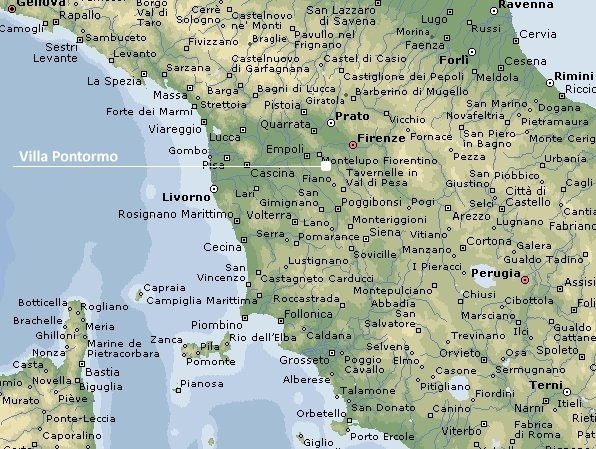 Florence and the Chianti region easily reached by car. 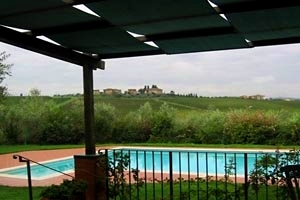 The beautiful villa is located near Montespertoli, a small town in the province of Florence also known as the "town of truffle". 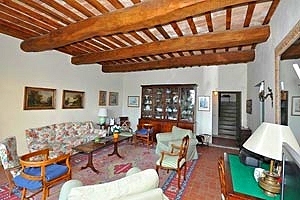 In the past, many important Florentine aristocratic families had majestic castles and elegant villas built in this area. 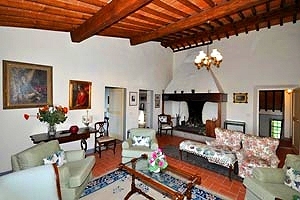 The castle of Montegufoni, the castle of Poppiano and the castle of Sonnino - which once belonged to the Machiavelli family - are a testimony thereof. 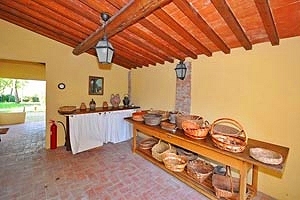 The area is widely renowned for its Chianti wine and the glassware and earthenware produced there. 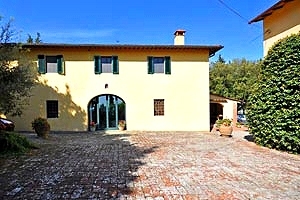 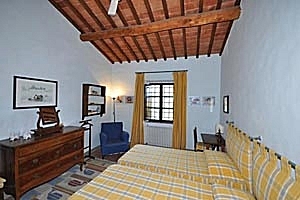 The villa situated on the hills west of Florence affords wonderful views of the Chianti countryside and is an excellent departure point for visiting Florence, the whole Chianti region, Val d'Elsa, Pisa, Siena, San Gimignano and many other Tuscan cities of art and tourist destinations. 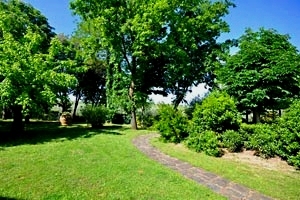 A wide garden surrounds the building. 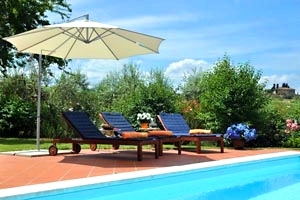 The private swimming pool (11x6 m; depth: 1.20-1.80 m) is completely fenced and surrounded by a wide solarium area equipped with sun loungers, parasols, table and chairs. 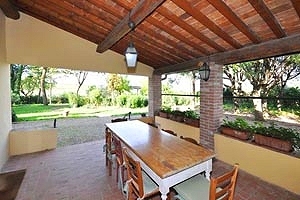 A covered terrace in front of the kitchen is furnished with table and chair for having meals in the open air. 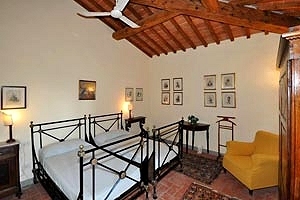 The two-storey building can accommodate 10 guests in 4 twin bedrooms and 1 double bedroom, and has 4 bathrooms. 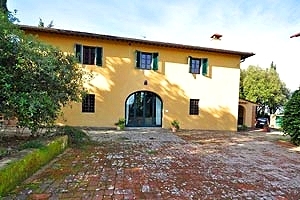 The ground floor (accessed through a loggia with table and chairs) composes of kitchen, living room, dining room, a large room with a pool table, a piano and a table-tennis table and a bathroom with shower. 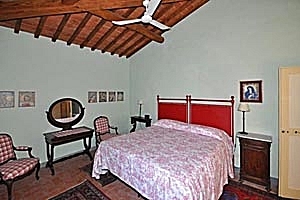 On the first floor there are a living room with fireplace, a double bedroom, four twin bedrooms, two bathrooms with shower and a bathroom with whirlpool bathtub. 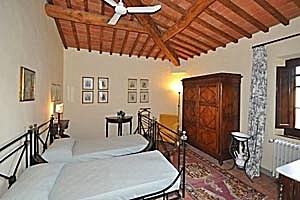 The bedrooms are equipped with ceiling fans. 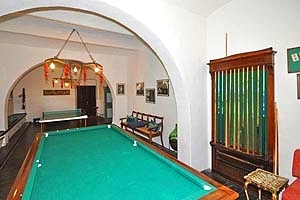 The villa comes with swimming pool, barbecue, ceiling fans, fireplace, table-tennis table, pool table, piano, Internet connection, satellite TV, DVD player, stereo system, oven, freezer, American-style coffee maker, toaster, dishwasher, washing machine, whirlpool bathtub, cot beds, high chairs and private car parking place. 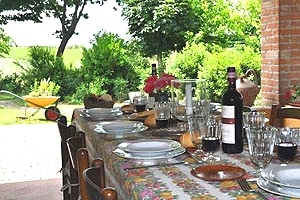 Some food shops, a petrol station, a restaurant and a post office are 1.5 kilometres from the villa. 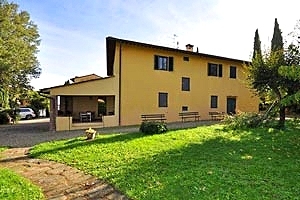 Other shops and services of any kind are 3 kilometres from the property.